A ‘‘Zero-Depreciation’’ is an add-on benefit cover that gives you a full coverage for your vehicle as a whole or part of your vehicle, without deductions of depreciation. This is a huge advantage, because while calculating for compensation or repairs in accidents, all insurers take depreciation value into consideration. It is the difference between the market price of the replaced part and depreciated part. That is the reason why standard plan gives you a claim amount after deduction the depreciation value. If you are buying a new car, opt for this add-on benefit with extra premium because it is a worthwhile investment option. If you are buying a second-hand or used car, then you cannot avail this benefit. This is applicable only to new car under a certain age limit of the vehicle. Every insurer will specify an age limit to avail this rider cover, if it is older than that you cannot purchase this policy. Normal wear and tear, mechanical breakdown, etc. are not covered under the option. A compulsory excess has to be borne by the owner of the car in case he wants to get these parts repaired. Every insurer specifies on how much claims you can make in a year. Though the coverage is not 100% as mentioned above, the number of claims will vary from insurer to insurer. A ‘‘Zero-Depreciation’’ is an add-on benefit cover that gives you a full coverage for your vehicle against the normal wear and tear that will affect the value of the car at the time of settlement. This is a normal car insurance policy that gives you and the car protection against a number of common problems in day to day commuting. Please read the document carefully to understand further coverage. Apart from being a rider on the comprehensive policy, you can chose this cover as a standalone policy. You will have the option to extend your cover alongside the standard policy with multiple riders. You will have to pay extra premium to avail this benefit which is slightly higher when compared to a standard policy. It covers only the depreciation aspect of the car. This policy covers many situations which the car might face on certain days. The premium amount payable is lower than nil cover. You can opt for this cover if you are not conscious about paying a little extra to protect your car from depreciating. It is not compulsory to opt for nil depreciation if you are comfortable with this cover and you are okay with depreciation value of the car. Wooden and metallic parts 5% is the standard rate at the end of first year. From second year there will be an increase of 5% on the base rate every year. This depends on the age of the vehicle. How is Car Insurance Insured's Declared Value (Idv) Calculated? How Does Cashless Garage Work In India? How to File a Car Insurance Claim After Accident in India? How Car Insurance Works in India? Does Credit Score Affect Car Insurance Premium? What You Have to Pay as a Policyholder During Car Insurance Claim? Does Car Insurance Cover Damages From Natural Disasters? 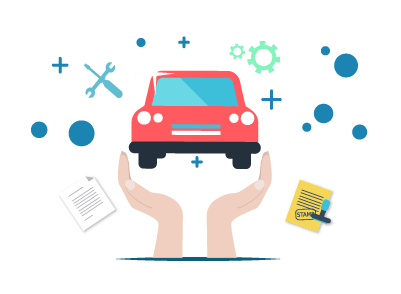 Why Car insurance Policy is mandatory in India? How Car Insurance Works After The Death Of The Policyholder? If the car is completely wacked, damaged or stolen then this benefit cannot be availed. How much is the premium payable on zero depreciation cover? Since the reimbursement value is 100% at the time of claim settlement, it is only natural that the premium paid will also be a little expensive. It usually ranges between 15%-20% on your base policy rate. It is also depends on the history of the driver and the insurance company. *The values displayed in the table above are subject to change from one insurer to another. This add-on cover with your standard policy which offers you full claim amount for value of the parts replaced saving the amount that was deductible for depreciation. Mr. X has filed for an insurance claim for his car which had been in a mishap for Rs. 1 lakh. In a standard policy, he will be paid 30% less by his insurer for the damages caused after deducting the depreciation value of his car. Had he purchased this cover, the insurer would paid him full 100% claim amount. This is a huge benefit for the policyholder. You would not have to pay for repairs and damages if you opt for this cover. You would only have to pay for labor charges and other minor things from your pocket while getting your vehicle repaired. This cover can be availed by paying an extra amount or can be included in your standard premiums as this is an additional cover. The premiums for this differs according to vehicle model, location and its age. You can save all the hassles by opting for nil depreciation cover. Make sure that you have the best deal, because companies offer huge discounts and benefits if you opt for additional covers. Damages caused to rubber, fiber parts, fiberglass, and nylon parts. This cover is primarily designed for cars which are new to an age limit specified by the insurer. This cover can be availed only by new car owners. Personal vehicle used for commercial purpose. Cars aged above 5 years is not covered under the policy. If the driver does not have a valid driving license. If the driver is using the car for malicious purpose. Driving the car while intoxicated. The policy does not cover up for compulsory deductibles. If you are planning to buy a new car, then opting for this rider add-on benefit is the ideal option for you. Even minor scratches or unfortunate damages caused to your new vehicle because of the fault of the third-party, this add-on benefit can be your rescuer. It might cost you a little extra, but it goes to a long way in saving you from all those extra money spent to repair your car. Some of the major insurance providers like Bharti AXA General, ICICI Lombard, Tata IG, Reliance and HDFC Ergo have been offering the ‘Zero-Depreciation’ cover since past two years. And majority of them allow two claims per policy period along with no-claim bonus benefit. IDRA has allowed this benefit in the market since past two years, and it’s time we make use of it. With the road conditions here, the potholes, traffic etc. make it miserable to enjoy your new car and it’s hard to save from some unforeseen damages. So the wiser thing to do is to get this add-on cover so we can ride tension free and also its pocket friendly. Contact your insurance provider today or shop online for best deals. 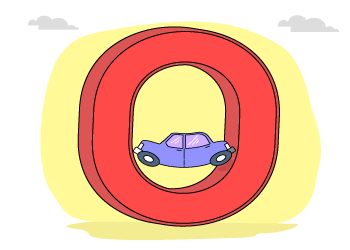 Which are the car insurance providers who offer Zero Depreciation cover in India? Bharti AXA General, ICICI Lombard, Tata AIG, Reliance, HDFC Ergo and Royal Sundaram have been offering the ‘Zero-Depreciation’ cover since past two years. What are the factors affecting zero depreciation cover? Does the policy also cover for theft and robbery of parts in zero depreciation cover? This depends on the insurance provider. Usually theft and robbery of any part is not covered under this cover. It can only be availed along with comprehensive policy as an add-on benefit. The reason for taking the car insurance policy with the TATA AIG GENERAL INSURANCE is because of the lowest premium also added on that comparatively the IDV value is satisfactory. I have no claim experience with this policy also they have provided the zero depreciation with this policy. I am not happy with the services of the TATA AIG GENERAL INSURANCE. I had a claim with this insurance once but they have not given the satisfactory claim settlement. It is the zero depreciation policy coverage so i am not happy. I am using it from last 5 years. It is not transparent service. I have previously used the car insurance policy with the United India Insurance where i have used it for more than 4 years as the policy is very good to use. The policy coverage they have offered is for zero depreciation policy. i had no claim experience with this policy. HDFC Ergo was offering me good features on the car insurance and that is why I chose them. They were offering me unlimited zero depreciation claims in a year which the previous insurer did not offer. The earlier insurer I could only have two zero depreciation claims. I got this through the dealer and the executive came to my place and explained all the details and also gave me coupons. My car insurance is with New India Assurance. The process and customer support is good. I received the policy document on time. I have taken a Motor Package (Zero Depreciation) plan. It is a whole coverage for the vehicle. The policy documents was sent to me on time too. "Need to be more clear in process"
The previous year I had my car insurance with Reliance general insurance. I had taken the zero depreciation policy which means there is a full coverage for the vehicle. When I had a claim experience, the coverage was not done on a whole, instead I had to pay in some amount. So I did not continue this year with them. It was a simple process with Iffco tokio for the car insurance policy. The customer support and response is fine. I have taken a Auto Protector + Zero Depreciation plan. It is a bumper to bumper coverage. The policy coverage value is fine, though I have not checked about it in detail. The premium is normal. I have taken a Auto Protector + Zero Depreciation plan with Iffco Tokio for my car insurance. I had no issues to get this policy online and the best is the premium is low for a good policy coverage. I chose them because they had the best deal on the premium. I also received the policy documents on time. It was a good experience with New India Assurance. The customer support and response is fine. The policy coverage is good. The premium cost is nominal. I have taken a car insurance policy and the plan is a Motor Package (Zero Depreciation). The previous year I had my car insurance with ICICI Lombard. The cost was too high for the zero depreciation plan. When compared to the other insurers they are pretty costly. So I did not renew the policy back with them this year. Else the other features are kind of same. My car insurance is with ICICI Lombard. It is a zero depreciation policy where there is a bumper to bumper coverage. The premium is also okay, it is of 24K. The customer support and response is good and there are no hassles in the overall experience. I have taken a auto protector+ Zero Depreciation plan with Iffco tokio for the car insurance. It is like a bumper to bumper benefit where the whole vehicle is coverage. The premium is around 7 to 8k. The policy coverage is good. There is a road side assistance. I did not get the hard copy of the insurance policy yet.